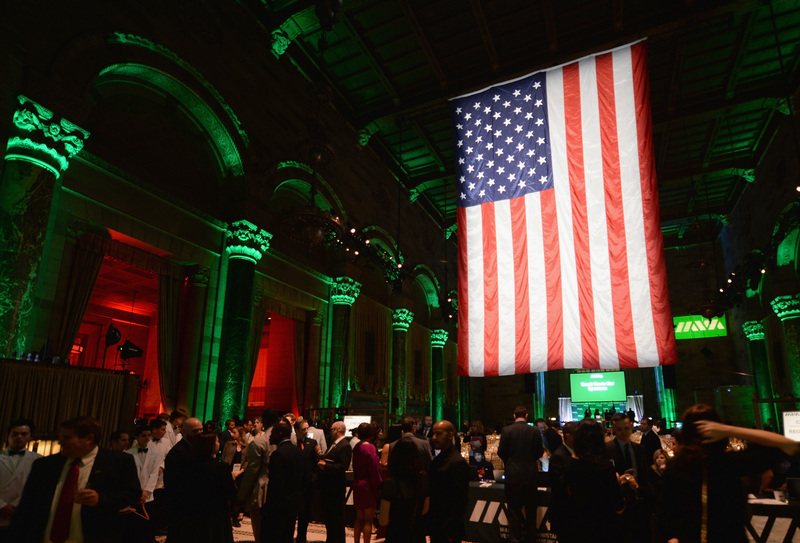 New York, NY (November 14, 2014) – After a summer of crisis, the veteran community came together for an evening of celebration at Iraq and Afghanistan Veterans of America’s (IAVA) 2014 Heroes Gala, held in New York. The group honored Admiral Mike Mullen, 17th Chairman of the Joint Chiefs of Staff, and Travis Kalanick, CEO and Co-Founder of Uber, for their leadership and commitment to post-9/11 veterans. The first Secretary of the Department of Veterans Affairs (VA) to attend the Gala, Sec. Robert McDonald addressed attendees on the department’s customer-improvement efforts. IAVA was also joined by around 700 New York social, philanthropic, and business leaders as well as veterans from across the country to highlight the work the organization has accomplished in the past decade to help veterans when they return from war. 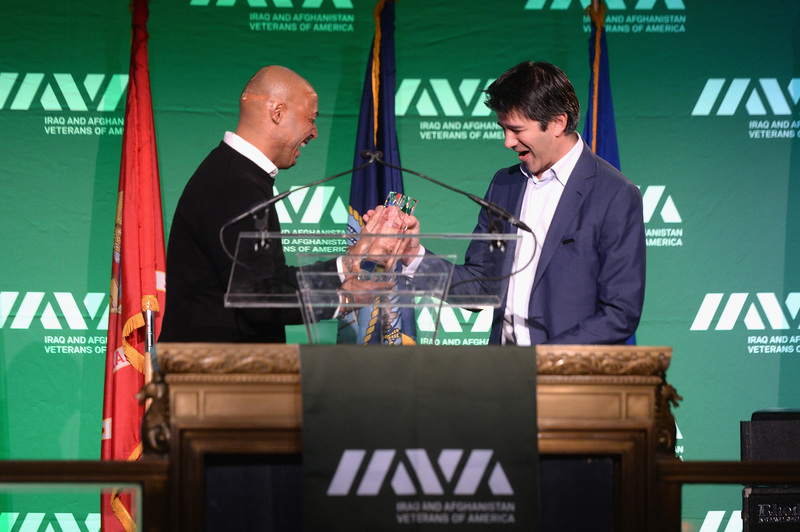 IAVA presented Kalanick with the 2014 Civilian Service Award. As one of the country’s leading entrepreneurs, Kalanick has led Uber — the smartphone utilizing rideshare company valued at $18.2 billion — to take veteran unemployment head on with their national initiative, UberMILITARY. The program is committed to on-boarding 50,000 members of the military community as drivers during the next 18 months. “I’m a civilian, but it’s what you guys do that allows entrepreneurs like me to follow our dreams,” said an emotional Kalanick upon receiving the award. “So it’s the least we can do to work to create opportunities for those who serve when they come back home.” Kalanick noted that in the two months since the launch of UberMILITARY, the company has employed 5,000 veterans and paid out $8 million to its veteran drivers. Listen to the full speech here. 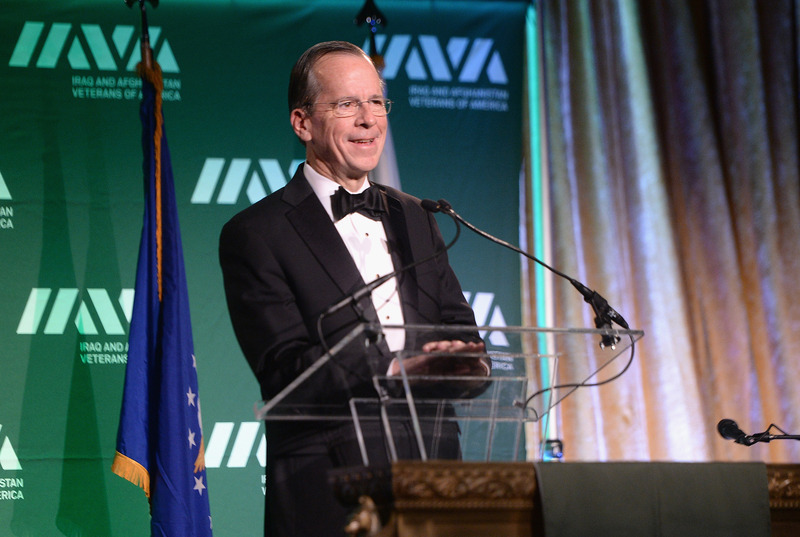 IAVA also presented Admiral Mullen with the 2014 Veteran Leadership Award. Admiral Mullen and his wife, Deborah, are staunch advocates of veterans, their families and the families of the fallen on a broad range of issues including drawing public attention and institutional focus to the challenges of post-traumatic stress, combat-related brain injury, military suicide, care of the wounded and veteran employment and homelessness. “What inspires and motivates me and Deborah the same way are the moms and dads, brothers and sisters and children of those we’ve lost — the families of the fallen. The message we’ve got time and time again from them is: ‘Please never forget.’ And we have that responsibility,” said Mullen upon receiving the award. “Now I’m not in charge of anyone in this room anymore, but rules have never stopped me before. So one of my orders tonight is to make sure we never forget. They are — we are — so special.” Listen to the full speech here. 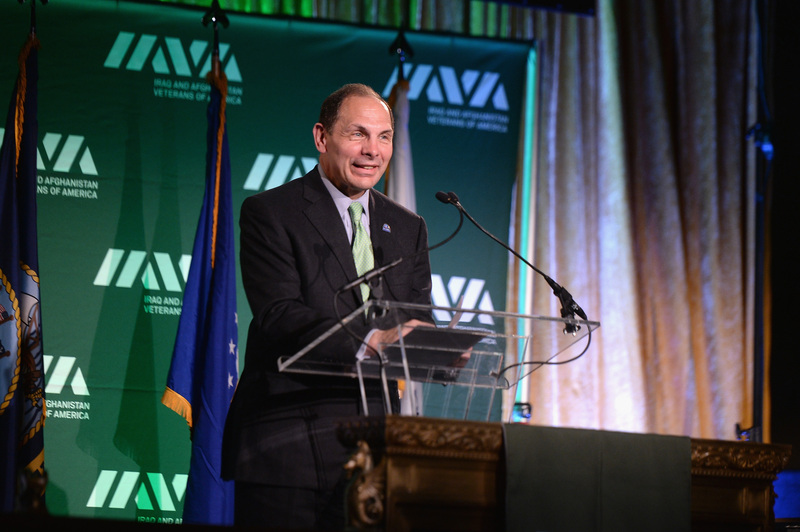 VA Secretary Robert McDonald also spoke at the Gala and spent time meeting with IAVA veterans one-on-one. The Secretary said that veterans and their voices are being heard by the VA, that the department welcomes criticism, and that it is actively working to reform. “While we own and are fixing the problems of the recent past, we are focused on the future, and we’re looking at it through the lens of the veterans we serve. It’s the only lens that counts,” said Sec. McDonald. Listen to the full speech here. IAVA is celebrating ten years of service to post-9/11 veterans and their families this fall. The organization was founded in 2004 by Iraq War veteran Paul Rieckhoff from his apartment in Manhattan with a handful of committed veterans and civilian supporters. “No organization is more diverse and more inclusive. 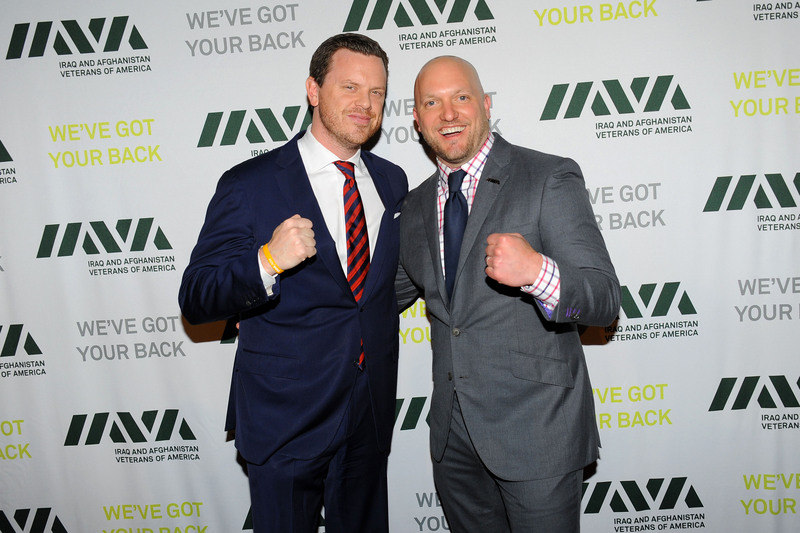 No other organization has taken on the hard fights like IAVA has,” said IAVA CEO and Founder Paul Rieckhoff. “We’ve disrupted the status quo, driven the national dialogue, held two Presidents in Washington accountable, redefined service, and touched more veterans than anyone. And no organization is better prepared to take things to another level now. And we’ve done more than build a new veterans service organization. We’ve created the nation’s first veterans empowerment organization. 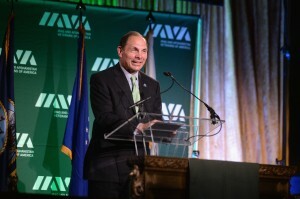 We don’t just help veterans, we launch them.” Listen to the full speech here. 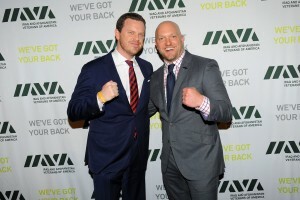 The Heroes Gala was hosted by Willie Geist, co-anchor of NBC’s “TODAY” show and MSNBC’s “Morning Joe.” IAVA members from across the country shared their experiences and personal stories of how the organization’s work in the last decade impacted their life from using the New GI Bill to finding a sense of community. 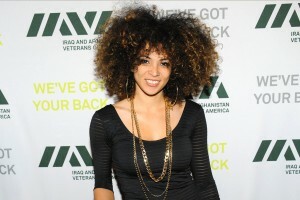 Kandace Springs, singer, songwriter and pianist from Nashville, Tenn., performed live. Sponsors of the Gala included Victory Motorcycles and Joan Ganz Cooney (Hero Sponsors); TriWest Healthcare, Turner Broadcasting, and USAA (Dinner Sponsors); Robert Cohn, Steven & Alexandra Cohen Foundation, HBO, JPMorgan Chase, Miller High Life, Uber, Western Asset Management, Wheels Up, and WME/IMG (Support Sponsors). Special thanks to Southwest Airlines, IAVA’s official airline partner. Former Secretary of State Henry Kissinger, actor and motivational speaker J.R. Martinez, NASCAR driver Cale Conley, ESPN’s Chris Mortensen, journalists Bob Woodruff, Ed Schultz, Abby Huntsman, Ronan Farrow, Chris Wragge, Budd Mishkin and David Brooks, IAVA Chairman of the Board and President and Chief Executive Officer at the Western Asset Management Company Jim Hirschmann, President Emeritus of the Council on Foreign Relations Les Gelb, Founder of Common Ground Community Rosanne Haggerty, President of Global Sales and Marketing for William Morris Endeavor Entertainment (WME) and IMG Worldwide Greg D’Alba, President and Chief Operating Officer of Las Vegas Sands Corp Mike Leven, New York City Commissioner of Veterans Affairs Loree Sutton, actress Michelle Monaghan, New York Attorney General Eric Schneiderman, CEO and Co-Founder of StreetShares Mark Rockefeller, Ms. New York America 2013 Michele McDonald, CAA Foundation Co-Executive Judee Ann Williams, philanthropist Jean Shafiroff and Movember U.S. Country Director Mark Hedstrom also attended the gala.